Thinking about making more videos to share on Twitter? Good idea. There are over 1 billion video views on Twitter each day, and Tweets with video get 10X the engagement of Tweets without. But what videos should you create for your Twitter feed? We’ve compiled a list of ten video ideas that have retweets and engagement in mind. 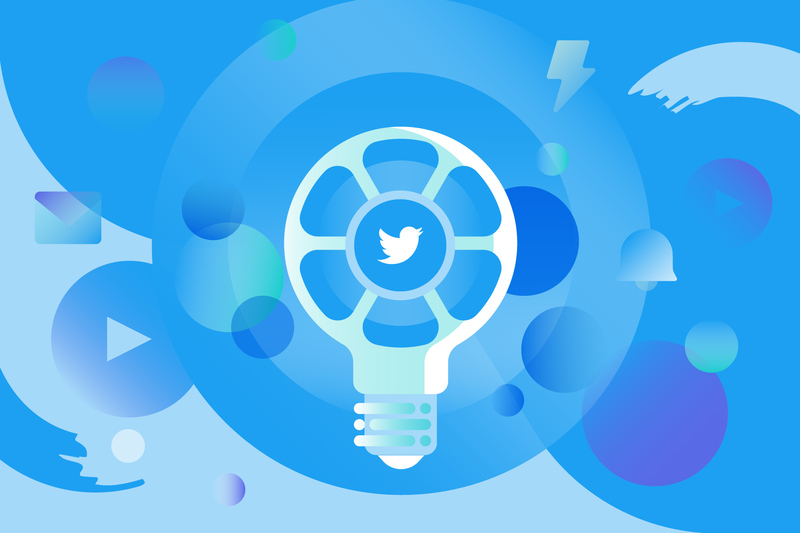 For a deeper dive, including tips and best practices for Twitter video creation, check out our complete guide to Twitter video. Twitter is all about what’s trending now. What’s happening with current events? What are people talking about? When you log into Twitter, you can easily see what topics are trending worldwide, or in a specific location. Notice a trend related to your industry, business, or niche? Create a short video explaining it to join the conversation. If you’re comfortable on camera, shoot a quick selfie video of yourself talking about the trend. Or, use our Wellness Explainer video template. Drop in stock images or video clips from our Getty Images library and update the text for a quick video to share on Twitter. Have a new blog post or piece of content to promote? Create a video to share alongside the link so it stands out in the Twitter feed. Make sure to include just enough information to pique interest, to entice people to click through. We’ve got a couple templates designed just for this purpose—our Content Teaser template and our Blog Teaser, embedded below. Juicy, surprising stats are great fodder for the Twitter feed. They stand out and are great for catching the eyes of scrollers. Here’s an example of a blog post teaser that starts out with a strong stat, to grab attention. Social holidays and calendar holidays also offer nice opportunities to hop on trends and join conversations. When you share a video related to a holiday or special social day, be sure to include relevant hashtags to get your video Tweet in front of a wider audience. Including other people in your Tweet and tagging them with an @reply is a nice way to get more retweets. People will be more willing to retweet Tweets that they are included in. Here’s an example of this idea. I included several tips from the #videotips hashtag and tagged everyone I quoted. The video has been retweeted eight times and favorited 13 times. The Twitter feed moves fast and Tweets are ephemeral. Use this as an opportunity to create a sense of urgency and use video to promote a flash sale. Event hashtags are a great way to get your Tweets in front of an audience of people who will be at a specific event. Tweet a video about an event you’ll be at, or post video Tweets during the event to take advantage of high volume around the hashtag. When the event is over, keep things going by posting recap videos or highlight videos. Be sure to tag attendees or speakers. Learn to identify your marketing strengths from @sue_bryce and other industry experts. Surprise and delight with a video reply! When someone Tweets at you or your business, make a short video to respond with. A personalized video can also help your Tweet stand out if you’re trying to catch the attention of someone that gets a lot of @replies. We’ve mentioned hashtags a couple times in this article already. But using hashtags doesn’t only apply to Tweets about trending topics or fun social holidays. There are popular hashtags related to every industry and including them in your Tweets can help you get your videos in front of more people. And, of course, the more people that see your video, the more likely you are to be retweeted. Got an idea we missed? Leave a comment below. And if you’re ready to dive in, find out more about how to make Twitter videos with Animoto. Happy video making!